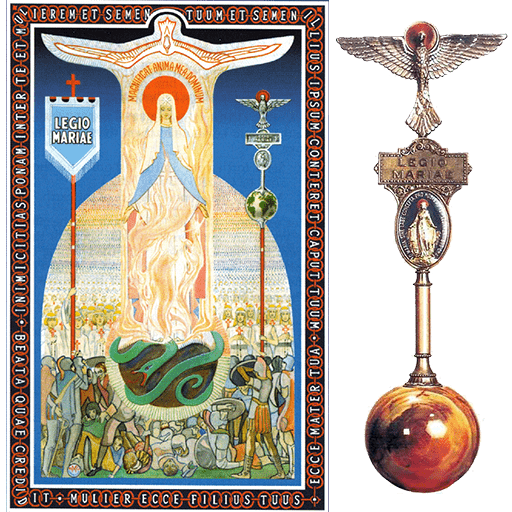 But why does the Legion put such radical emphasis on the place of the Rosary in the life of the Legion and the inner life of every legionary? Saint John Paul 11 gives us much insight in answer to that question when he writes: ‘The Rosary, though clearly Marian in character, is at heart a Christocentric prayer. It is an echo of the prayer of Mary, her perennial Magnificat for the work of the redemptive Incarnation which began in her virginal womb. With the Rosary, the Christian people sit at the school of Mary and are led to contemplate the beauty on the face of Christ and to experience the depths of his love. Through the Rosary the faithful receive abundant grace, as through the very hands of the Mother of the Redeemer.’ In other words the Rosary is simply Mary offering us Jesus in all his essential mysteries. It is a simple way of praying the Gospel and rooting us in God’s self-revelation of himself. We remember that Mary was the first person to pray the Rosary and she still prays it incessantly. And she never stops inviting us to join her in this precious prayer. Twice in the Gospel of St. Jude we read that Mary ‘kept all these words pondering on them in her heart.’ Isn’t it precisely this pondering on the life, death and Resurrection of Jesus in our mind and heart that is the essence of the Rosary. Mary identifies herself as the Lady of the Rosary at Fatima and asks us to pray the Rosary every day. Why this pleading by Our Lady to pray the Rosary every day? I think the answer is simply that Mary wants to put Jesus at the very centre of our lives, to invite us every day to rest for a time in Jesus in her company. To pray the Rosary is to be inserted into the salvific action of the Risen Lord and to become open to his gift of the Holy Spirit. However, the Rosary is not only a prayer it is also an effective form of evangelisation. We are encouraged not only to pray the Rosary but also to preach it and promote it in every possible way open to us. Blessed Pope Paul V1 said: ‘Evangelisers must first be evangelised themselves.’ It is not sufficient to know and talk about the faith we must also pray the faith. Praying the Gospel is a beautiful way of interiorising the Gospel. St. Dominic learned this lesson from Our Lady herself. He was preaching in the south of France with great energy and zeal, but was having very little success. Then Our Lady appeared to him according to tradition and said: ‘Pray the Rosary.’ He did and the fruit of his preaching became prodigious. So first he preached the articles of the Creed and then the people prayed them through the Rosary. Thus the Rosary in its earliest use became a method of preaching and praying the Creed and the Gospel. In this way people assimilated the truths of the faith in the deepest possible way. Preaching was no longer simply communicating information about the truths of the faith but learning to make those truths the basic principles for actually living their lives. So I am suggesting and encouraging our legionaries throughout the world not only to pray the Rosary but also to promote it and evangelise through and with it. Already the Legion is outstanding in its use of this great treasure of the Rosary, but because our modern world in so many places is in such dire situations from a religious point of view, it may be imperative to turn even more earnestly to Our Lady’s gift of the Rosary. The Rosary apostolate is a way of praying and evangelising open to every legionary and indeed non-legionaries as well. At the centre of evangelisation is Jesus Christ in his mysteries by which he saved us. His incarnation and nativity, life in Nazareth, public life with his teaching and miracles, his institution of the Church, his paschal mystery of suffering, death and resurrection, his glorious ascension and his sending of the Holy Spirit on his first disciples - this is the Good News of salvation which the priest proclaims. 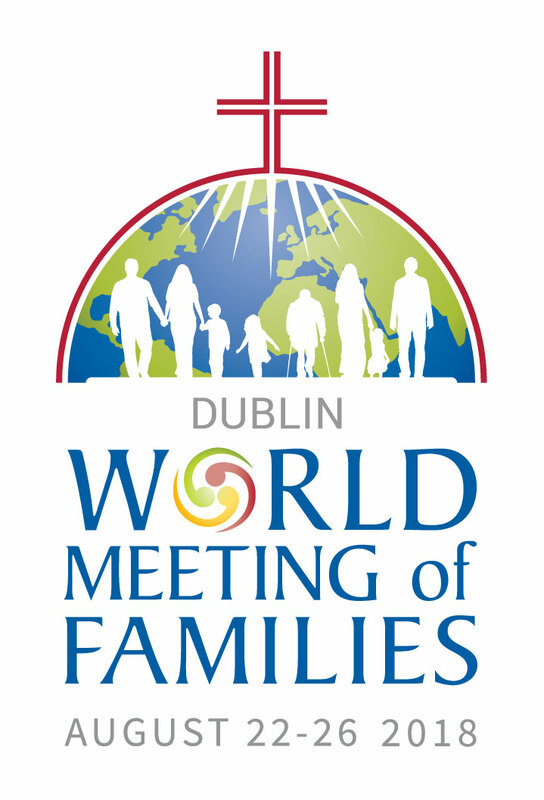 The Legion of Mary Child Safeguarding Policy aims to do everything possible to provide a safe environment for children and young people where they are cherished and encouraged to become involved in the life of our Church. The Legion of Mary is a lay apostolic association of Catholics who, with the sanction of the Church and under the powerful leadership of Mary Immaculate, Mediatrix of All Graces, serve the Church and their neighbour on a voluntary basis in about 170 countries. With the approval and support of the Popes and a great many Bishops, Priests and Religious, as well as the prayers and efforts of legionaries, the Legion, by the grace of God, has grown into a worldwide organisation with several million members.